76mm BRANDED - PAPER CUP. This product is now rebranded 'Kenco Rich Roast' 7oz Cup. 76mm BRANDED - PAPER CUP. Case - 15 Sleeves x 25 Cups = 375 Cups (7oz Cups). Order by the CASE or SLEEVE Douwe Egberts 'PURE GOLD' with Non H.V.O. Whitener. This Coffee is a Medium Roasted Freeze-dried Premium Instant Coffee. Maxpax Limited -100% Colombian Coffee with Whitener. This Coffee is 100% Colombian Coffee and it is also made from 100% Arabica Beans. The Original Thick Chicken Receipe excellent taste. 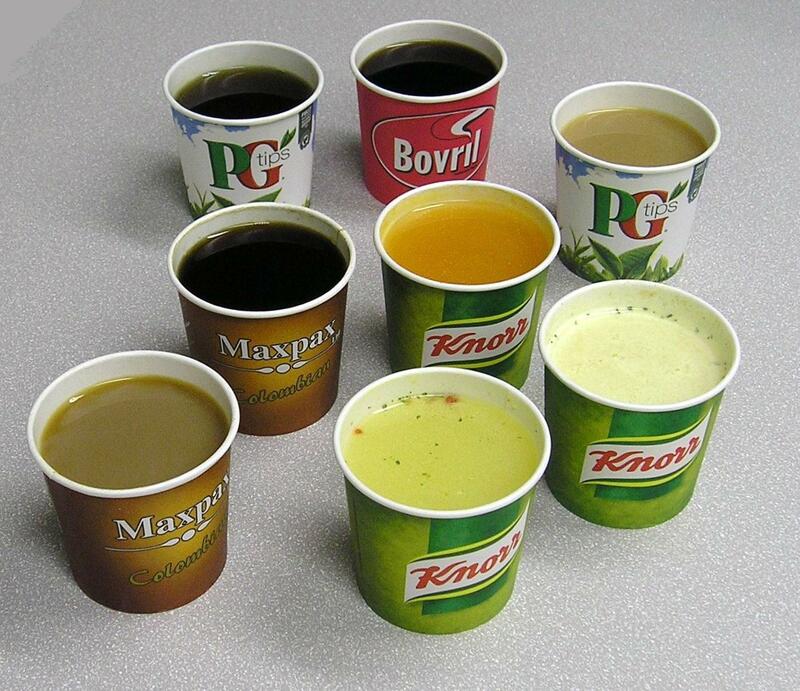 76mm MAXPAX BRANDED - PAPER CUP. NEW 76mm BRANDED - PAPER CUP. The Original Receipe, really tasty, a proper Knorr Tomato Soup. NEW 76mm BRANDED - PAPER CUP. 76mm BRANDED - PAPER CUP. Case - 15 Sleeves x 25 Cups = 375 Cups. (7oz Cups). Case - 76mm Sip Lid, for Maxpax Paper Cup 200ml (7oz) - CCSLW76. Case - 76mm Sip Lid, for Maxpax Paper Cup 200ml (7oz) - CCSLW76. Fits the Maxpax 7oz Cup and 9oz KBar Cup. 1 x 1,000 Lids £24.95 + Vat(20%). 1 x Bag (100) £16.60+VAT(20%). NOW IN STOCK.